This past month has been a busy blur! Mostly I've been occupied with a head cold which has led to this. However, the Christmas season is now upon us and more than anything I just want to sit down and blaze through a bunch of books and Christmas stories. So the paintbrush has been set down and I'm back to the books, many of which I have finished. My normal practice is to write up a review on each individual title but I fear if I tried to do that, I'd never catch up. So here's a snapshot of the books I've been reading of late. 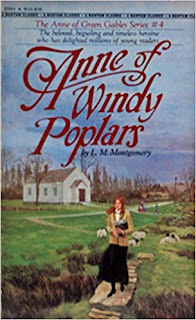 I've lost count of the number of times I've read Anne of Windy Poplars but this was my choice for a November read. When I was younger, this was my least favorite of the Anne books. After all, there's no Gilbert and without Gilbert there's no tension. However, this is probably one of my favorite Anne books to read as an adult chiefly because, as it turns out, life is not all romance. There are jobs to do and circumstances to grow through and that's what Anne spends her time doing in Windy Poplars. In this particular story we find Anne enduring a teaching job and learning to thrive in a small community which consists largely of the Pringle family. The Pringles didn't want her to be hired at the local all-girls high school as they had favored one of their own relatives for the job instead. Despite initially persecuting poor, dear Miss Shirley, she wins them over in her Anne-ish way and we make new friends alongside her in the journey. "I'm glad I don't live in Yesterday . . . that Tomorrow is still a friend." My yesterdays are full of beauty and joy and good times. They are also filled with real struggles, challenges and hardships. Some struggles were more difficult than others but God has been faithful and has seen us through. I wouldn't trade or change a single experience, friendship or joy. All the same, I'm glad that there is always Tomorrow ahead, full of new dreams and new hopes. Why the hope? Romans 15:13. I'll bank on that. All the Light We Cannot See, by Anthony Doerr came to me highly recommended by multiple friends and through #Bookstagram. As a result of the hype it was almost - but not quite - doomed to failure. Readers know how it goes when everyone around you begins to rave about a certain book and exclaims that you absolutely must make time to read it. The book is set upon a pedestal and the fear in reading it becomes that when you finally get around to it, you won't like it as much as you are "supposed" to. I'm afraid that's what happened to me with this one. 1. It is a work of historic fiction based on one of my favorite time periods in history: World War II. 2. The book travels through time, taking you to a period before the German occupation of France, through the occupation, and straight through to the end. I like books that move you all around the place. The only downside of that is that you really ought to read the book in just a few sittings so that you do not become confused by the characters or point in history. The writing style is very short and choppy. Chapters are just a few pages long which has the benefit of allowing the reader to read it in snippets if they prefer (just note the danger of forgetfulness). The characters are very memorable and easy to empathize with. 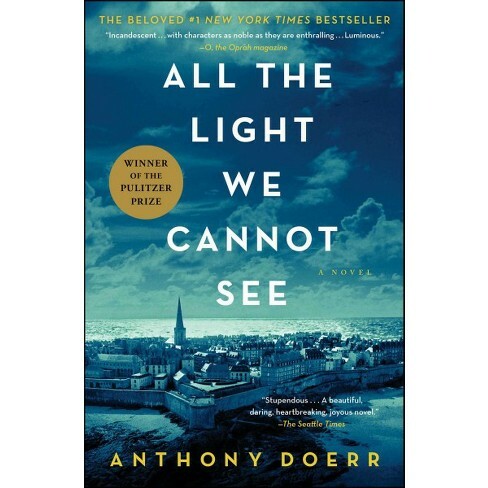 Doerr paints a picture of life in an occupied country in such a way that I am not likely to soon forget the atrocities of war. 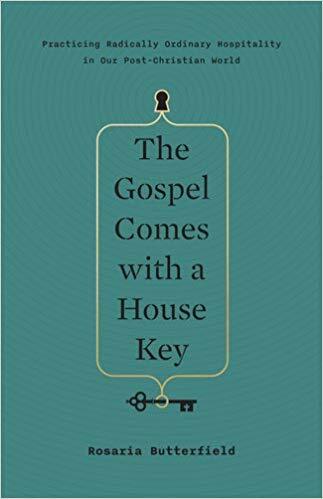 It really is quite the memorable book and I would recommend it without fanfare in hopes that other readers will enjoy it more than I did. That's not really a stunning recommendation is it? Hmm. 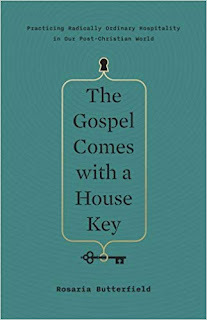 Lastly, I read The Gospel Comes With a House Key and this book really deserves a lot more than a snippet of a review. I have thoughts. I have words. They'll have to wait. I also found "All the Light..." lacking. I think some of it was the writing style. The whole story left me cold (if that makes any sense). I keep going back and forth on whether to read All the Light. I've heard reviews both pro and con. @Beth Starr - Yes, makes sense!